HomeThe Critical Path: Critical To Success! Project Management experts are trained in all aspects of overseeing projects successfully. One of the key pieces of this is known as the “critical path”. You might infer from its name that without the critical path, your project will fall apart, and you’d be right. Let’s take a quick look at the critical path and what creating and following one can do for you. The critical path doesn’t refer to the most important activities in the execution of a project, but rather the tasks that will determine when your project is completed. If any of the tasks on the critical path is late by a day, that pushes the project completion back by the same length of time. Take a look at your project’s schedule: do you have tasks that can be delayed a day or more without affecting the duration of the project itself? Those are tasks that, though crucial to the success of the project, are not on the critical path and are thus said to have “slack” (the amount of slack is the amount of time a task can be delayed before it delays the entire project). Because many projects have tasks that can be completed simultaneously, whether by the same person or assigned to different staff, the critical path will help you to determine priorities when tasks compete. 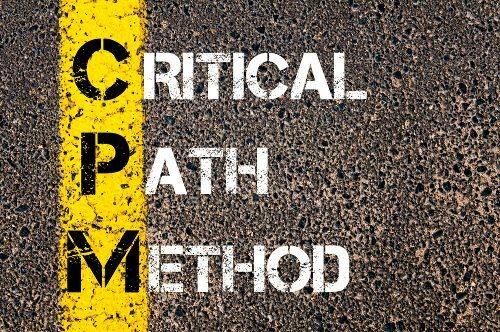 Why use the Critical Path Method? This is a method of scheduling your project activities which is relatively easy to use and will help you to prioritize on-time completion of the project. While it can be done manually using the forward-pass/backward-pass method, there are also a number of technologies and applications which will do a lot of that work for you. Because tasks in a project do not exist in isolation, it can be particularly helpful for complex, large, or long-lasting projects which have many inter-dependent tasks. Using the critical path method, we can clearly see which tasks must be done before which other tasks, and which tasks can be done simultaneously with others. This will also assist in assigning tasks to those executing the project as you’ll be able to give clear deadlines, allowing you to negotiate more easily with other project managers for staff time. What Can I Use Critical Path For? Like any project management tool, the critical path can be used on any project: that is, anything that has a defined start and end date, and a clear outcome or deliverable after completion. The critical path method is less useful for very small projects with few tasks for very short durations, but may still help you to think through all aspects of the project. You can use the critical path method in any sector that has a need for project management: research, engineering, product development, non-profit, construction, software development, aerospace and defense, plant maintenance, and more. Do you want to learn more about the critical path method, as well as other means of managing your projects successfully? Check out our course offerings and move towards your PMP® or CAPM® certification and increase your project’s’ success and your own earning potential!